Click to see full size picture from above. 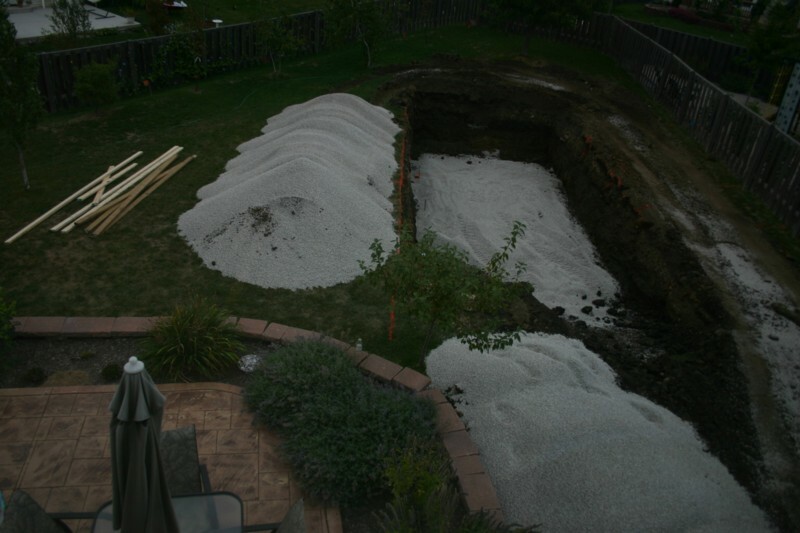 Over the weekend a fair amount of progress was made on the backyard construction project. We small digger in the yard doing some excavation. We expect to have the whole project completed, amazingly enough, by the end of this week. Look for more updates as the project gets closer to completion.